This is Keito here. 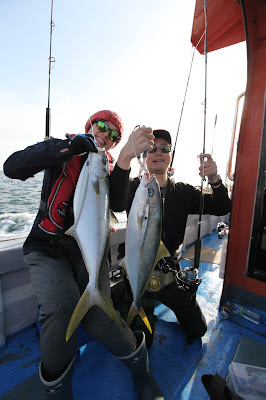 I went to Jeju island in Korea for fishing mainly amberjack. The member this time was Yoshi, Yuko and me from team Momoi, and Minami from HOTS, member of JGFA together. The target was amberjack weight over 30kgs by casting. 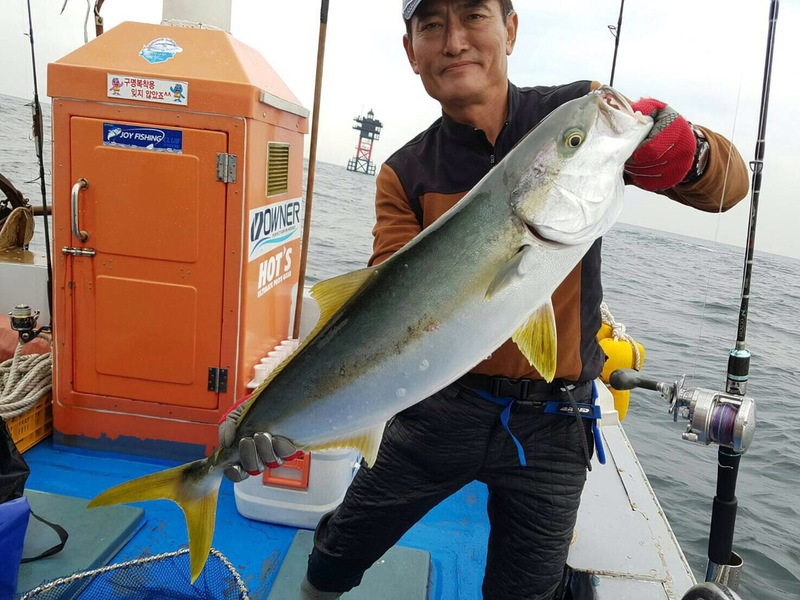 The ocean around Jeju Island is rich place that the average of the amberjack is about 20kgs and smaller than 10kgs are only called “mackerel”. 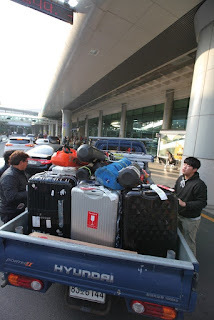 After meeting up at the Jeju airport, we headed to hotel immediately. 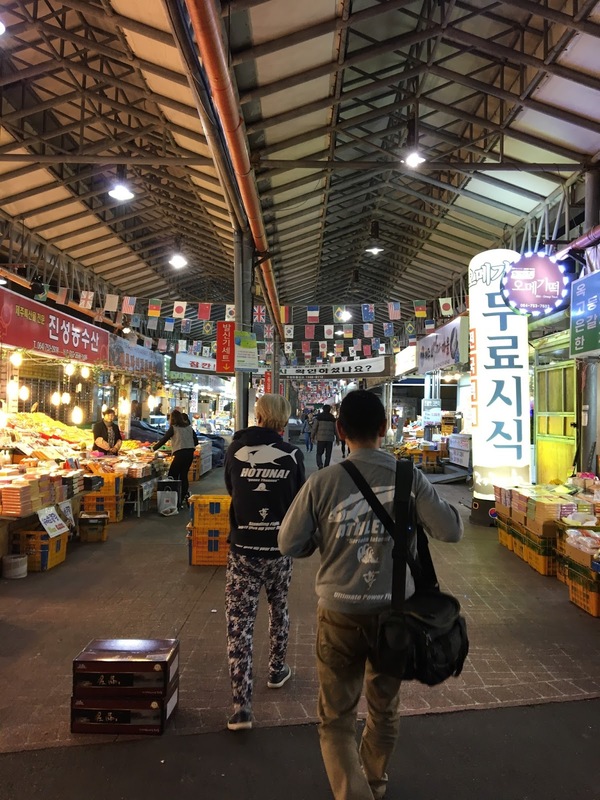 After we arrived to the hotel and prepared the fishing tomorrow, we went to have Korean dishes to the market. 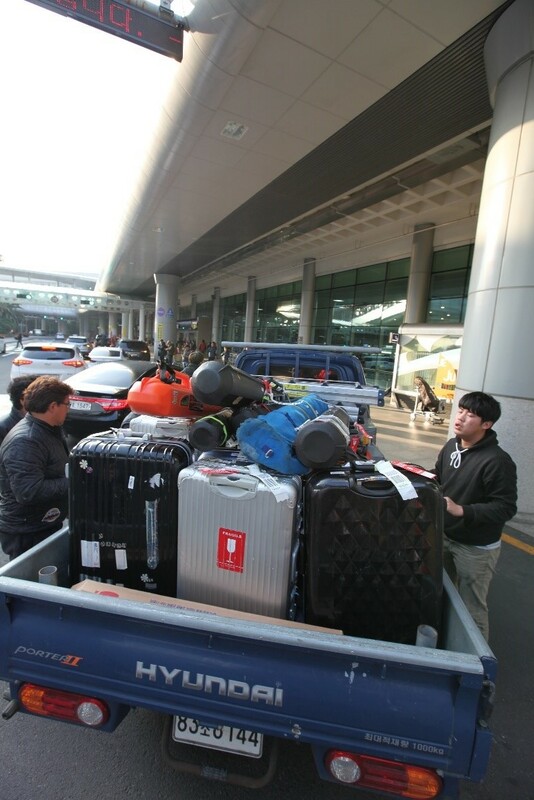 Jeju is famous for orange and there were lots of orange in the market. We wanted to have enough sleep earlier soon after Jeju sake and dishes but it did not come true as we had to make all the line system and prepare everything for fishing tomorrow. On next morning at almost the same time as the sunrise, we prepared for departure at 6:30am and headed to the point. 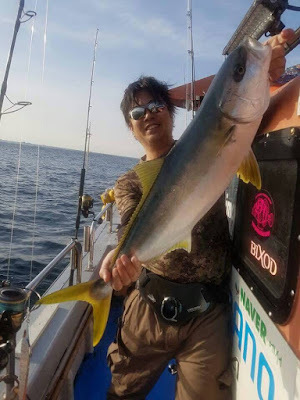 My favorite time on the boat is being attracted by my big fishing result and feel like I am really good angler thinking “Wow how nice my fantastic fishing skills are… ” lol, the second loving thing is to enjoy the time of being on the boat with sunrise. This was actually my first fishing trip abroad. I felt the sunrise was different from the one in Seto inland Sea or Wajima, which were both in Japan and where I went for fishing mostly. My tackle for this time is the reel borrowed from my senior colleague (named: doomed reel, never caught any fish) and the never-win belt with “being released” curved letter on, borrowed from Ken who is my superior. 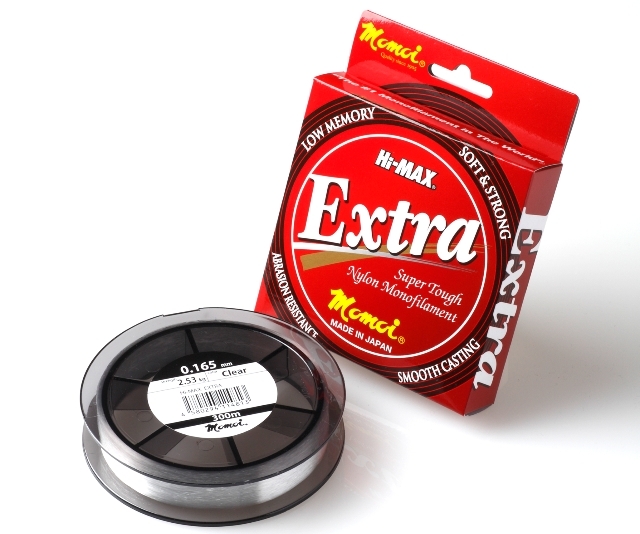 Everyone speaks about this reel never going to catch any in the future as well. 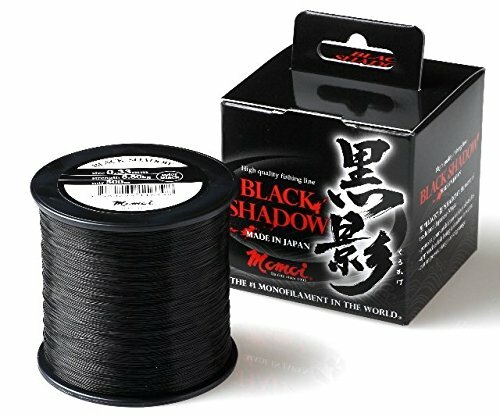 I am also responsible at releasing doom from the reel during fishing trip this time. And this Harada’s never-win “released” belt is almost new fighting belt as you can imagine from this name. 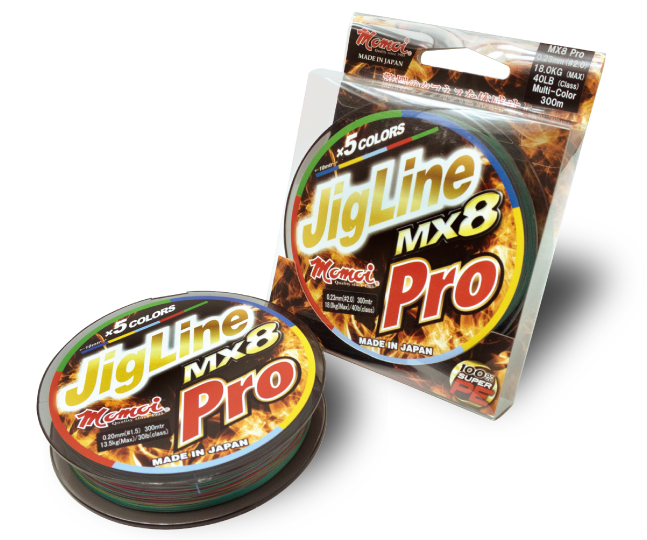 For the line for jigging, I used Momoi Jigline MX8 Japanese No. 6 which is the PE line of our company and knotted with Momoi Shock Leader 80lb. 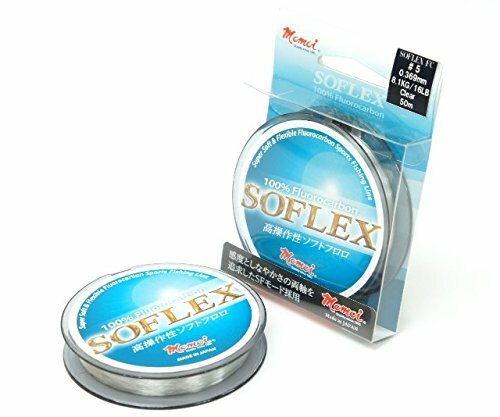 This shock leader has the same abrasion resistance as Fluorocarbon but much softer so that it is so much easier to tightening the knots and line system and important elements even for the people who are not good at making good knots like me. 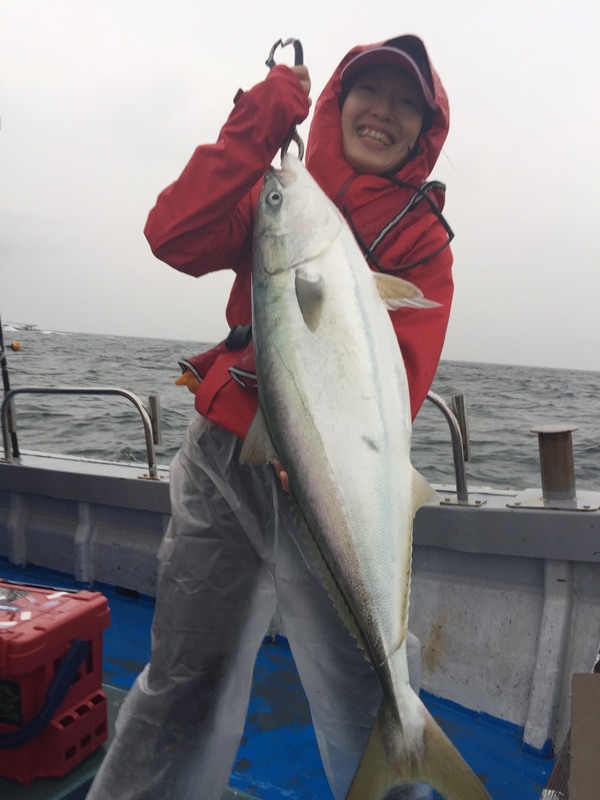 After running the boat for some time, Yuko got amberjack right after we arrived at the point. For the jig was of course HOTS’s Otoko Jig 280gr which is just suitable for amberjack in Jeju. The character for jigging in this area is that the sea depth is not so deep but there too many rocky places under there. The key is how soon you can end one fight. Otherwise, the line break immediately as amberjacks got run into the bottom. On that day, the captain recommended us to do jigging instead of casting as there were calm tide and fish did not come up on the surface of ocean. As I sensed today which has less activities for the fish, so I tried to jerk the jig rather slowly. In my mind actually, I was really so inpatient and was like “I want to catch soonest I can! Come on massive amberjack!!! During the morning!! !” loosing and loosing my head as if my body and mind would fell into apart, and next the thinking like “it is not going to be very cool if I never catch anything after coming all the way from Japan” is coming up and started to blame on this reel like “Oh yes, the reason why I am not catching any is because of this doomed reel”. When I almost fell into the dark side completely like this, I got !! HIT !!!!!! And at the next moment, I got the amberjack perfectly on my line!! I start going “Oh YES, see, my super fantastic fishing skills” lol but not allowing me to think like that, the amberjack pulled out my line strongly all the way. I felt a great fear by the strong power of amberjack that might break the line by scratching on the rocks but I encouraged myself “I could say that one was surely over 30kgs if the line breaks and ran out” to keep going. And finally I landed the amberjack. Most of the time on the 1st day, I was shooting with one camera and 2 video recorders for people, so there is no photo of this moment. The below photo was taken by Minami of HOTS for us when I got fish together with Yuko when double hit. About half year has passed since my fishing trip when I got the amberjack first time in my life, I finally got the amberjack again in Korean sea. Such exiting moments and hits were continued but after noon past, gradually the result got decreased. And finally we went back to the port around 17:00. On that day, we enjoyed the time very much although we could not really catch the one with 10kgs over. After arrival back at the port, we went to Japanese style restaurant and had a great diner with the amberjack and yellowtail which we caught on that day. We enjoyed special chain of tastes, Jeju sake and amberjack and then more sake and yellowtail and one more sake. On the 2nd day, we departed with the forecast that it would be rain in the afternoon. 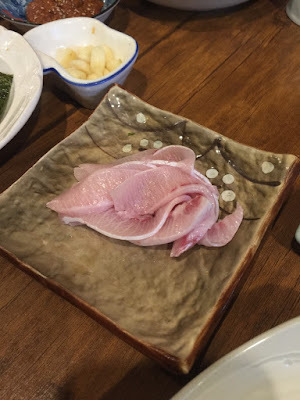 As I got amberjack and yellowtail yesterday, my safety nettings was created in my mind which makes me feel much easier today. I felt like I could catch the amberjack even with the “doomed reel” which I did not use yesterday. And then I dropped the jig from the doomed reel without any complicated thoughts, I felt a hit on my line! And sparingly, I got the amberjack by that 1st drop!! The hit jig was HOTS’ Keitan jig. Everyone thought that it showed the good feelings ahead as I got the amberjack for the first cast so easily with doomed reel but unexpectedly the situation was not good than yesterday. Different from the first day, the tide was big and Yuko as usual started to throw up, jerking while throwing up and got amberjacks but during moving to the points she completely shut down and got up after reaching at the points. Repeating this routine activity all the way through. Any smile vanished from her face, I was just aside jerking but looking at her made me so unmotivated. I was trying not to drop myself to the dark side and encouraged myself and piled the results up. 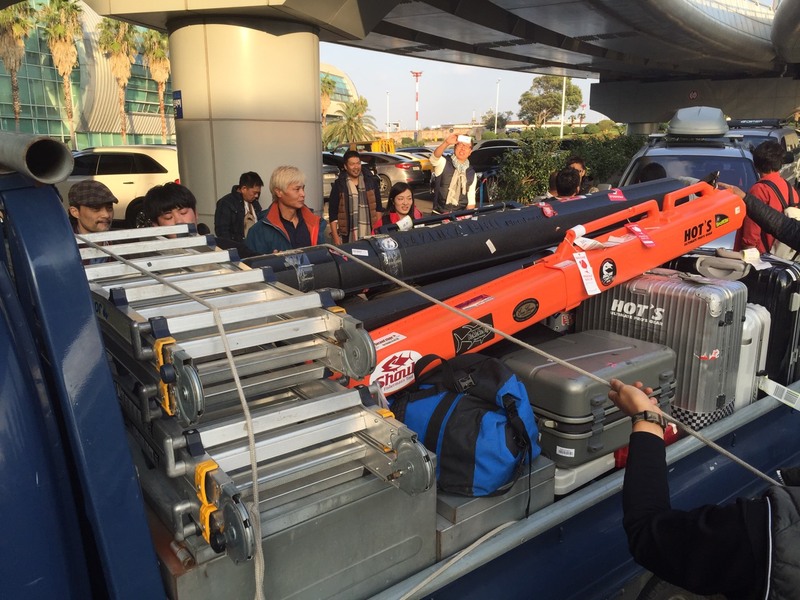 Sometimes the line had stuck on the bottom of the ocean but it is Momoi line! It recovered from such situation. That made also captain surprised by the strength of the line. 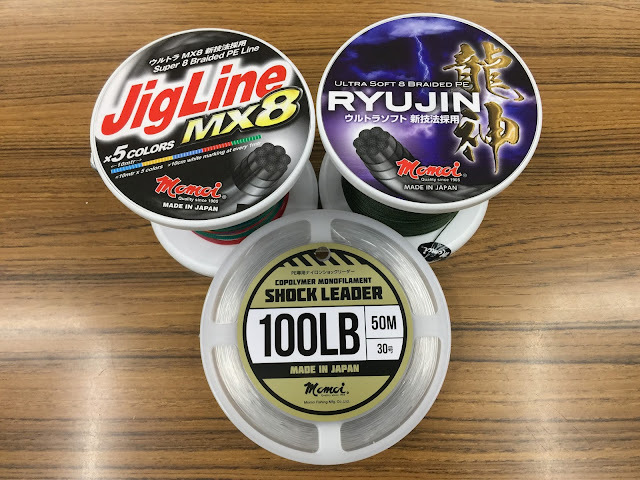 Let’s see if I collect the questioners from anglers all over the world, I guess that “make up line system on the boat during fishing” would be ranked within top 3 of what is the most of the anglers dislike? column. So this recovery happened would mean a lot. I ended up without making up line system on the boat during this fishing session. 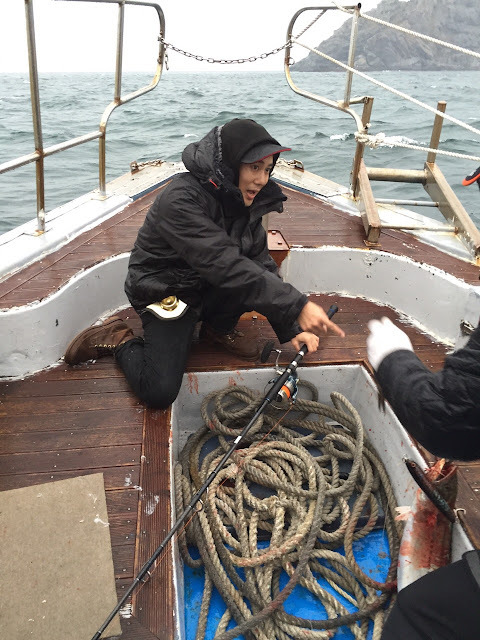 At the time when we already went back to the port if yesterday, the weather got worse when we changed the point. The boat was jolted strongly and the ocean looked very different from yesterday. At that moment, everyone on the boat started to get many hits. 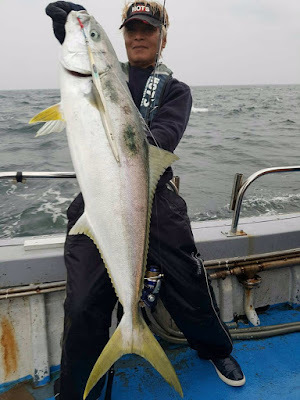 Yoshi got the good size of yellowtail by casting and also everyone who was doing jigging on one side of the boat got the hit one after another. Everyone got pleased to the situation and it was hubbub, “Catpain, please hurry up here”, “Wowww this is massive! !”, “Give the nets to that side”, “Help me Minami san (that is my word)”. 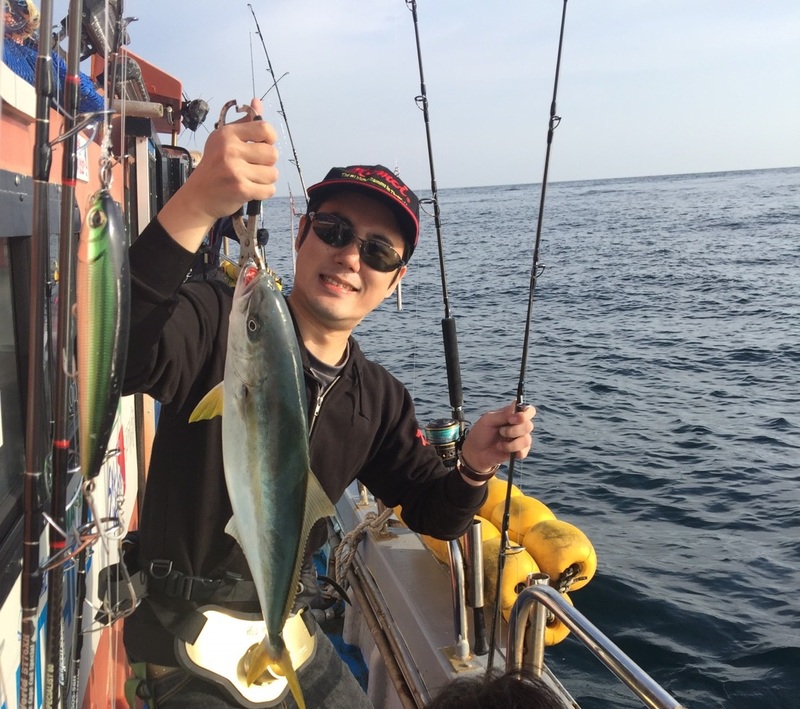 During this hit, I got Spanish mackerel by casting for the first time. Actually, I had carefully checked the casting line very carefully whether there was any scratch on the line which I used little on the first day. 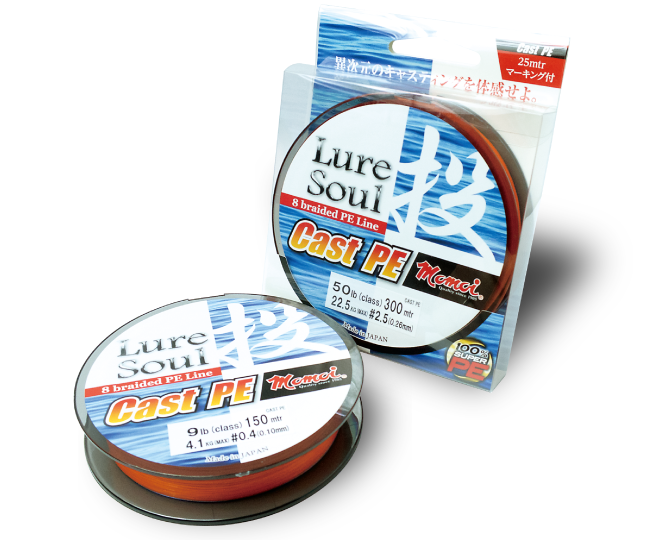 The casting tackle was STELLA 18000HG, Momoi Ryujin No. 8 and Momoi Shock leader 100lb + 150lb. As Ryujin is for the line mainly for casting, it was quite easy to cast for like me as beginner. Also, it has the reputation from the market that it is easy to use and very strong. For plug, I equipped HOTS’ Keiko Ocean 26cm Japanese Abalone. It might be efficient for Spanish mackerel. At the time I got Spanish mackerel, the captain adjusted the position of my fighting belt by the pre information that the big targets were on the top area. But I was almost ending to wind up when Captain attached the fighting belt on me…. 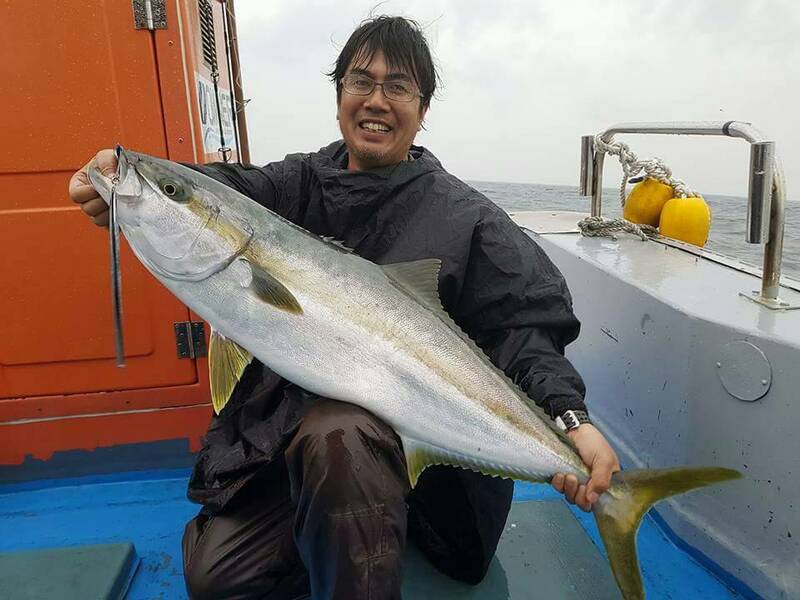 For this time’s fishing trip in Korea, I could not get the amberjack with over 30kgs but the total result was really good and I satisfied. 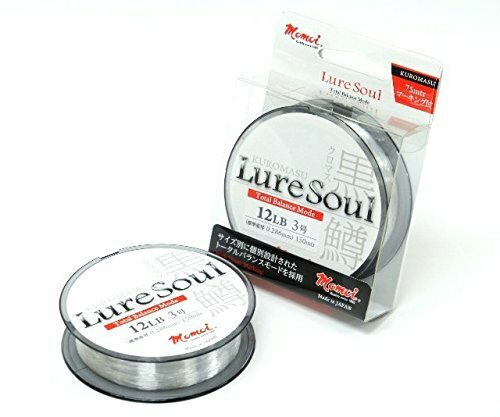 I feel like I experienced the atmosphere that good one will be there that professional anglers says firsthand. As I have never got the fish more than 30kgs, I definitely want to catch the one for next fishing trip. 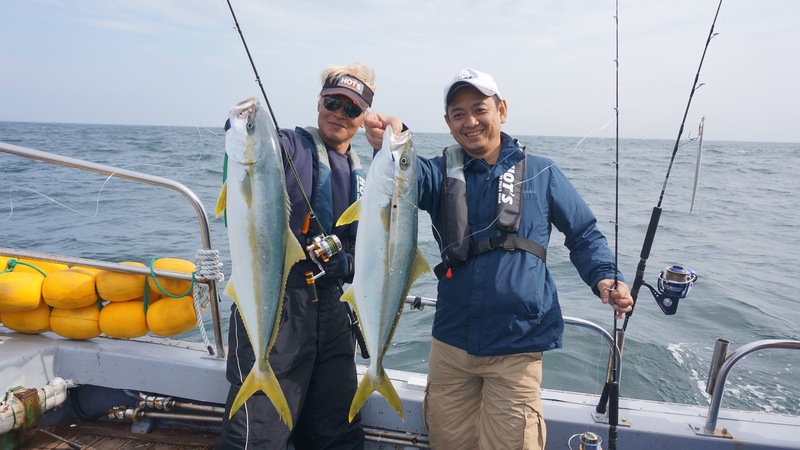 We went fishing to Genkai nada (North of Kyushu Island) on August 20th, 2016. 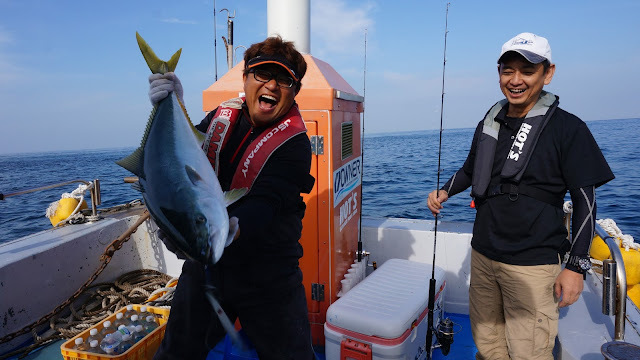 Our fishing friend who lives in Fukuoka asked us to come and went fishing together. 3 people from Momoi went there, Yoshi, Yuko and Ken. We were planning to go on 21st but changed to 20th 9:00 in the morning due to the forecast of bad stormy weather on 21st. So, we departed at 2:00 in the early morning after our work on 19th and having short nap. And we arrived the destination at 8:30 in the morning after almost 7hours drive. 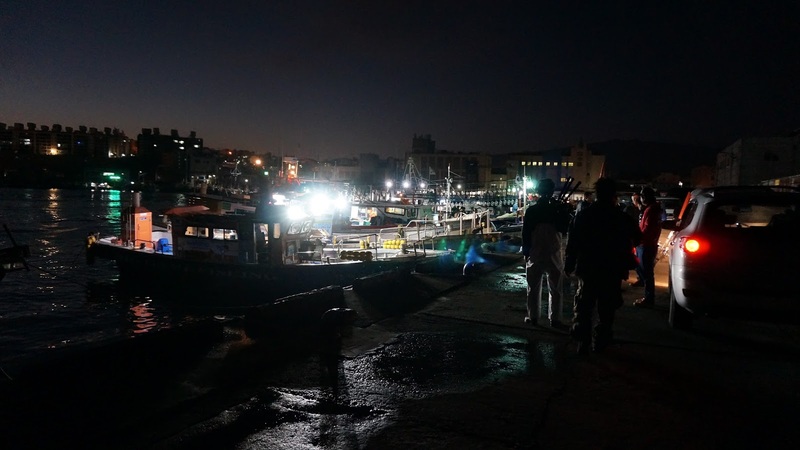 The boat we took was “Kaisho maru” which main port is Nata, Fukuoka. Our target was Hiramasa (King Fish) by jigging. As soon as we arrive there, we start fishing in the off shore targeted the King fish and Yellow tail. 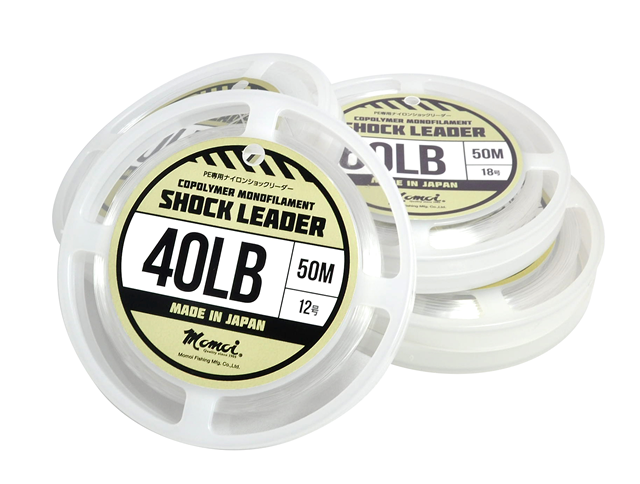 The main line was Momoi’s Jigline MX8 0.28mm and the leader line was Momoi’s shock leader 60lb. For the jig, we equipped Fast Flip of Gearlab. This item allures the targets by just retrieving action and Ken hit the small lizardfish. We released it soon. After that Ken changed the jig to Inchiku of Assist Kobo. He retrieved slowly and tried to attract the fish to the Inchiku. Soon Ken got the target. It was red spotted grouper and Ken got excited by this target. Later we transferred to the jigging point near Iki island, but the wind and the wave was so strong and the bolt jolts very bad. Due to the lack of sleep, Both Yuko and Ken felt sea sick. Especially Yuko felts nausea but she repeated the jerking again and again. She is the iron woman. After all we could not catch King fish or Yellow tail because of the slow tide and strong wind. We returned to the shallow point with nausea. 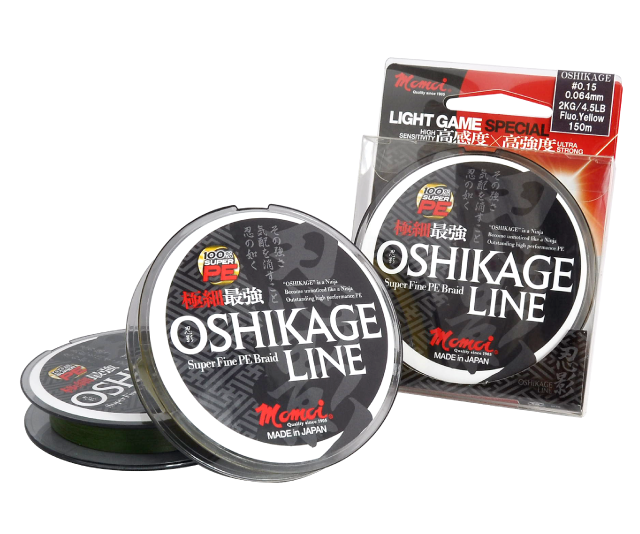 We challenged the “micro jigging” with Ultra light tackle, which is lighter than the light tackle. 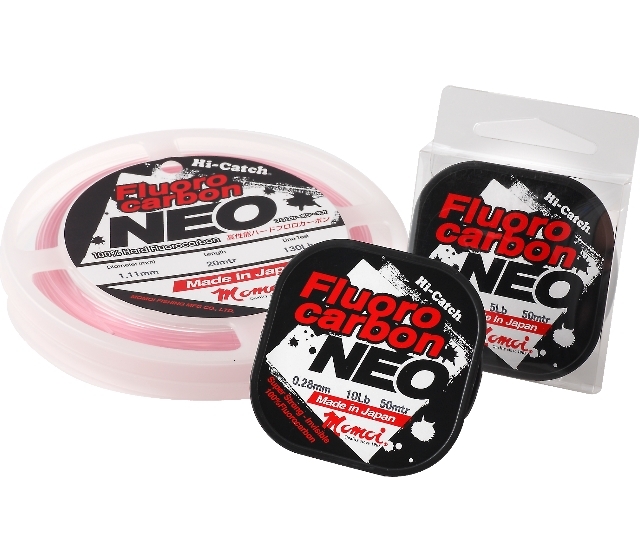 Also we used the microflip 35g from Gear-lab. With the slow jigging feeling the sea bottom, Yoshi hit the target. It was big red spotted grouper. After that Yuko felt a bite. 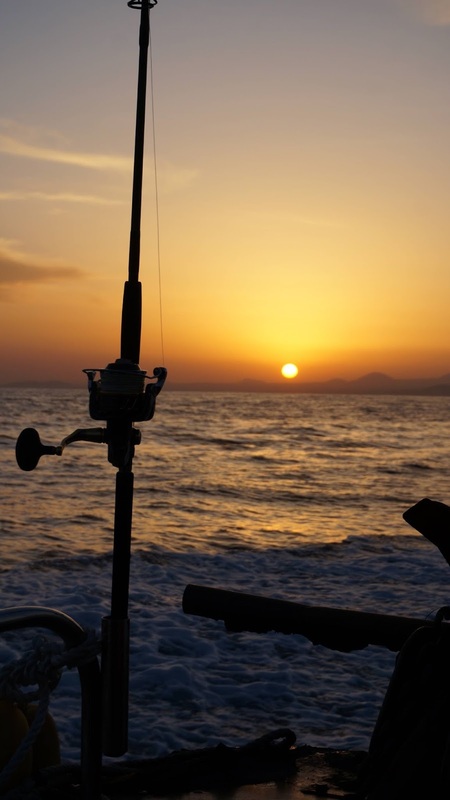 She lifted the fish to the sea with bending the rod but the fish escaped without landing net. She was shocked by releasing the good Sea bass. But she hit again and got the small red sea bream. 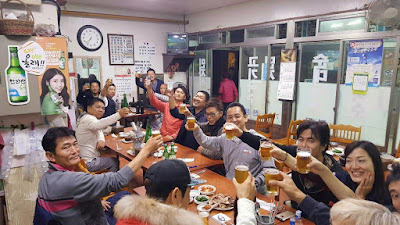 No matter how big the fish is, all of us got the souvenir. 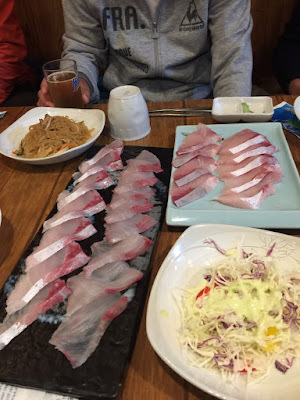 Later, Yoshi got red sea bream and Ken got Sea bass, puffer fish, rock fish and red sea bream. Although we could not get the big ones but we played with many kinds of fish. Our fishing friend got and gave us the flounder. It was very interesting to play with the fish by microjigging using fine size PE. We are sure it will be the new trend of fishing. We finished this trip by eating roasted local chicken. We thank for the fun fishing day and the rich sea.